Hey Everyone! Hope you are all well and have had a lovely week so far! This week I've been quite relaxed and just spent the week preparing myself for my new job, catching up on TV shows, going to work at the tutor centre and just being quite chilled out. I've been getting way too stressed out and emotional lately so I decided to have a chilled out week instead of running around like a headless chicken! So much better. I'm ready for a week of hard work next week! Anyway, before I ramble on too much let me get back to the point of this post. A couple of weeks ago I was very kindly contacted by the brand Iconemesis. 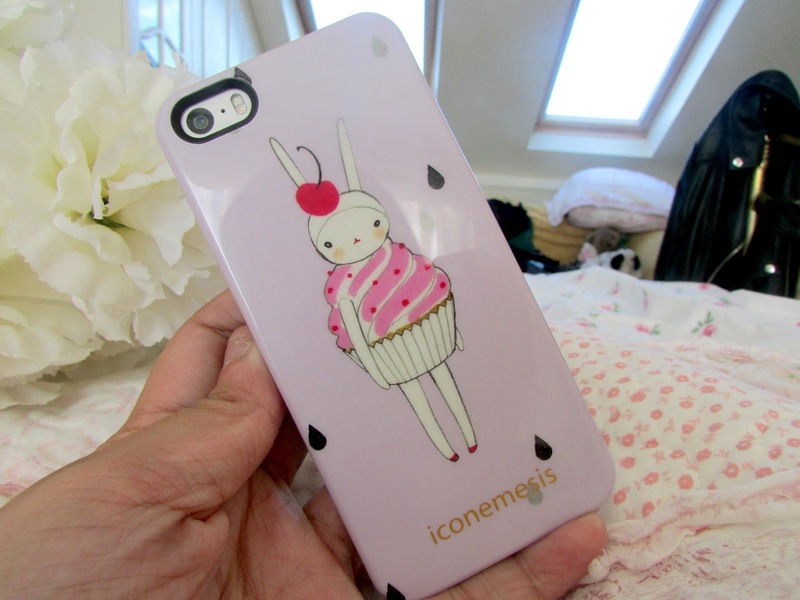 Iconemesis are a British, London based brand that offer a wide variety of iPhone cases for their customers. I had actually browsed their website a couple of times before and I was planning on getting some of their cases anyway so I was super excited when the email popped up in my inbox! Iconemesis work with a number of unique and fashionable designers in order to make sure that their iPhone cases are both unique and fashionable and I must say that I agree with this statement. All their iPhone cases are extremely fashionable and the designs are so cute and girly which I absolutely love. 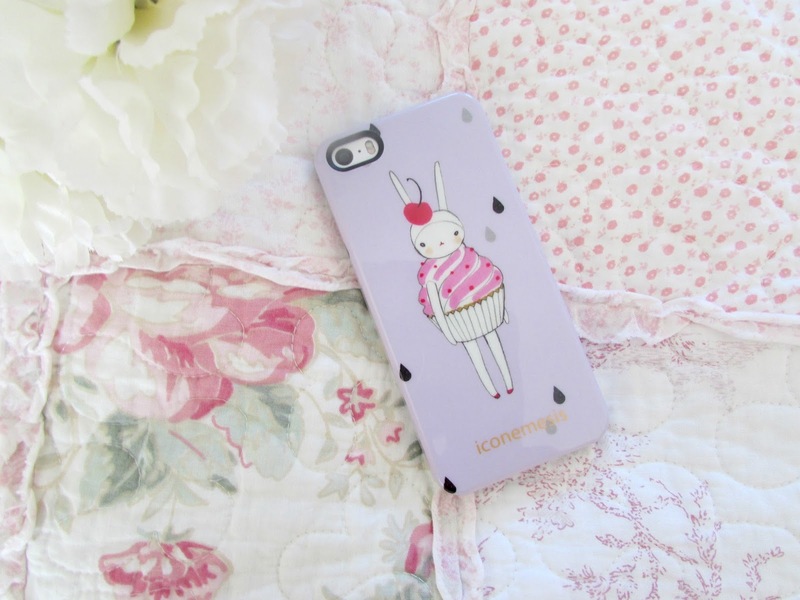 No matter your age I think these cases would look great on your phones. Iconemesis very kindly offered to send me a case from the collection and I will admit that it took me around 40 minutes to decide which one to pick as they were all so lovely. 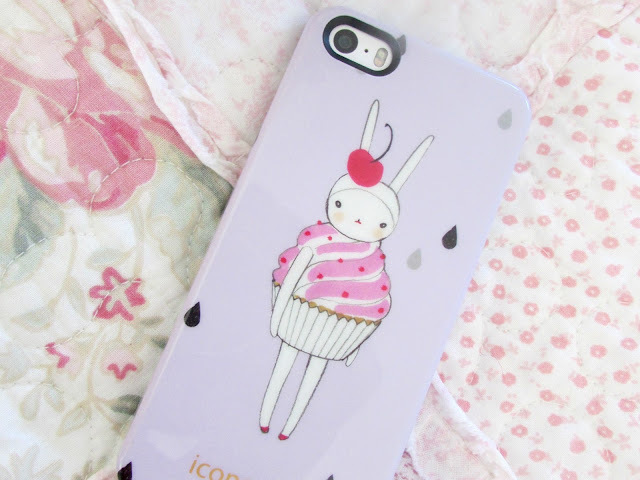 I eventually decided on this gorgeous Fifi Lapin Bunny Cupcake Case* as I loved the purple colour and the cupcakes and bunnies design so it was just a no brainer really and I must say I am very impressed with the case. I hope now that you've read this bit you understand the pun that was totally intended in the post title. Don't judge haha! The case arrived within 3 days of me choosing it and was very neatly packaged. I absolutely love the quality of the case too. It's hardback and fits my iPhone 5S perfectly. The quality of the design is excellent and it's not one of those phone cases where you have to worry about the design fading either. It's just a lovely case and will look lovely sitting on top of your desk and on your bedside table. It's just so pretty and because it's hardback plastic if it gets a little bit dirty it is extremely easy to clean. Unfortunately Iconemesis' cases are only available for iPhone 5S, iPhone 5C, iPhone 6 and iPhone 6 Plus but the variety of designs and cases you can get for these phones if you have them are amazing and I'd highly recommend it. At the moment Iconemesis are doing a sale where you can get a number of their cases including the one I've got for only £5 instead of £10! Amazing deal! If you are interested in these iPhone cases and would like to head on over to the website and browse their full range of products then just click this link http://iconemesis.co.uk/ where you will be taken straight over to the website. Have you bought a case from Iconemesis before? This post was written in collaboration with Iconemesis but all opinions are my own. It's so cute! Never bought from there unfortunately. I've had the same iphone case forever, i think it's definitely time for a change. OMG this case is so so so pretty!! I can't stop looking at it! It's the cutest thing! !